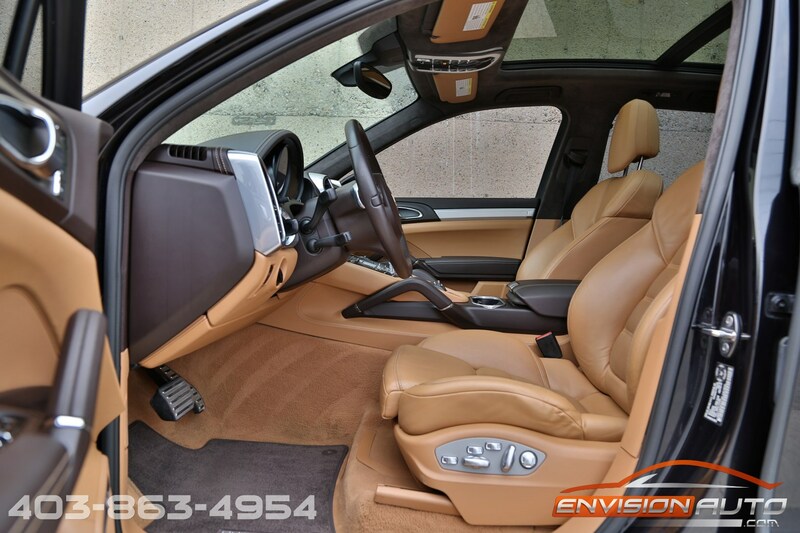 Color : – Black Metallic Ext w/ Tan Leather Int. 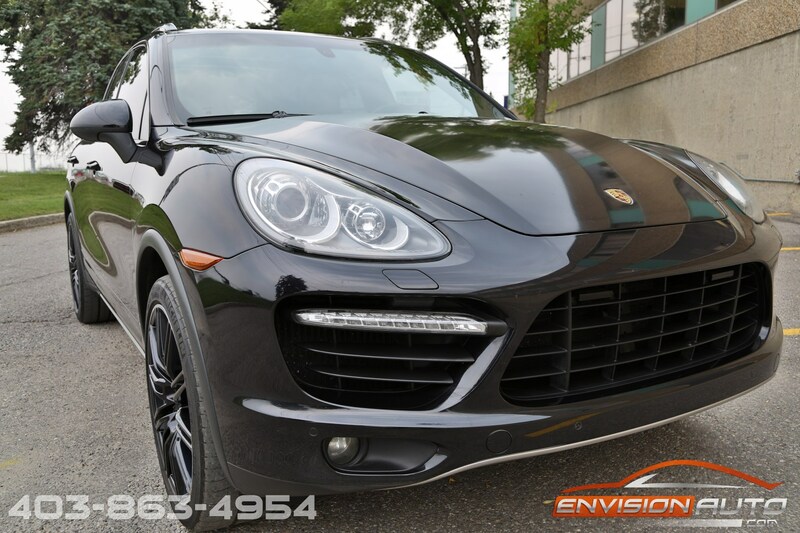 More Details : Spotless history – Local Calgary Vehicle – Full Service History – 100% Clean CarProof History Report – No Accidents – No Insurance Claims – No Stories. 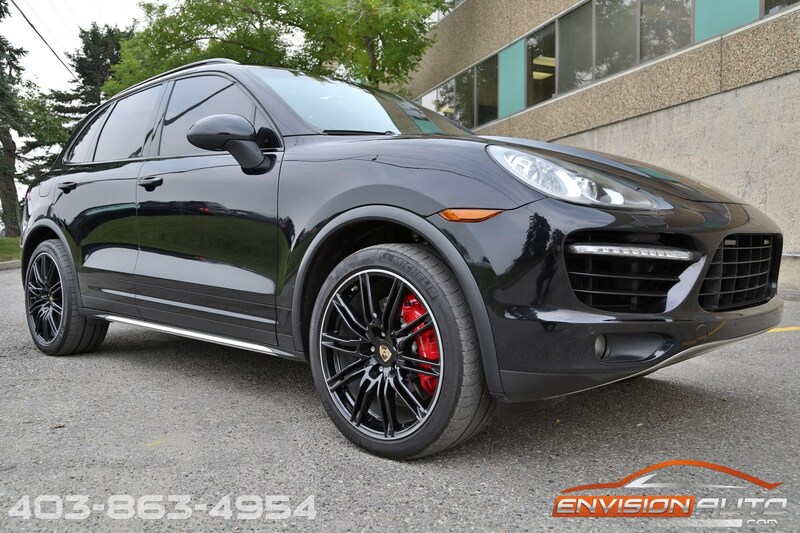 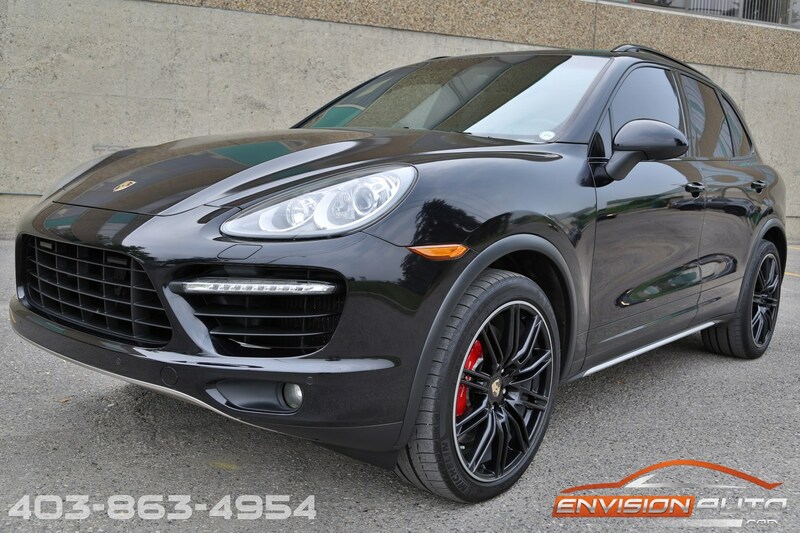 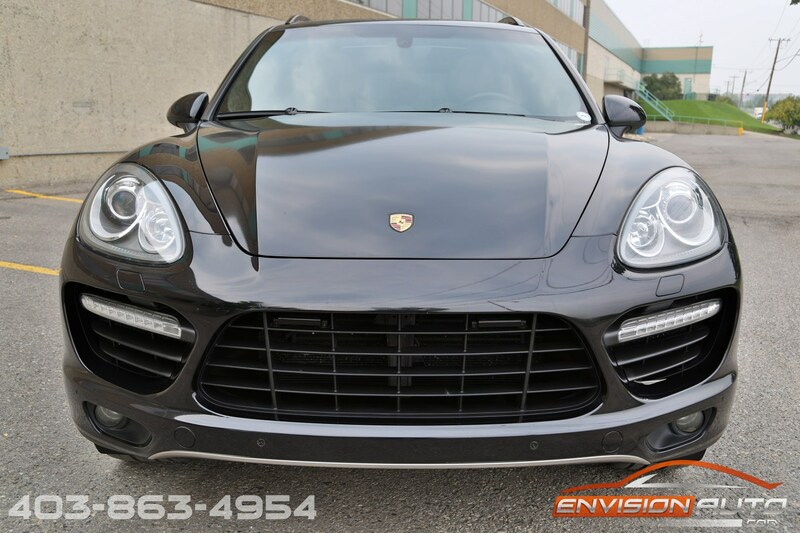 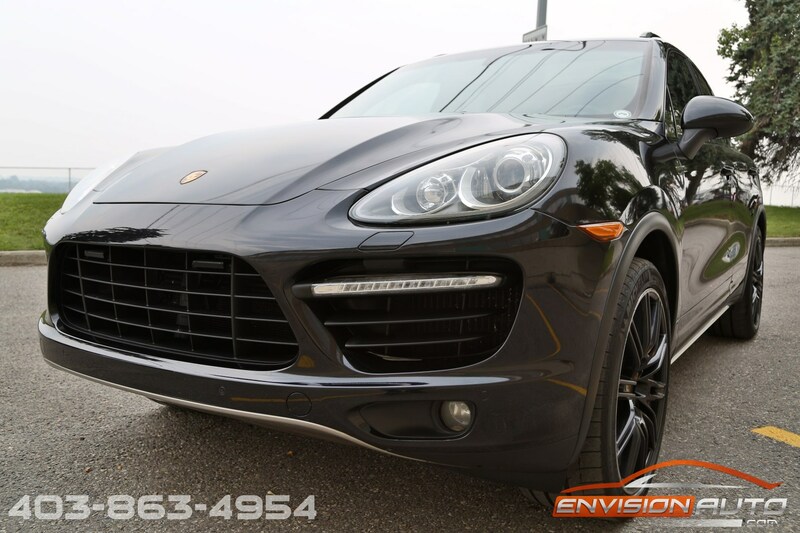 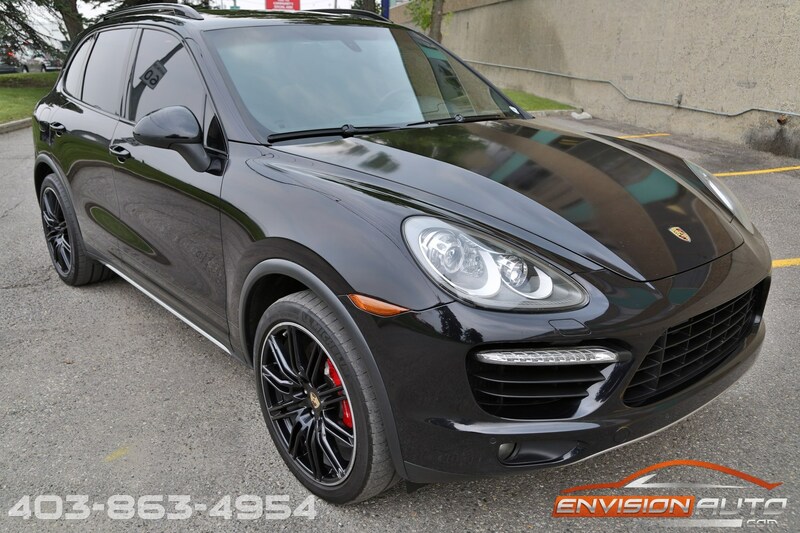 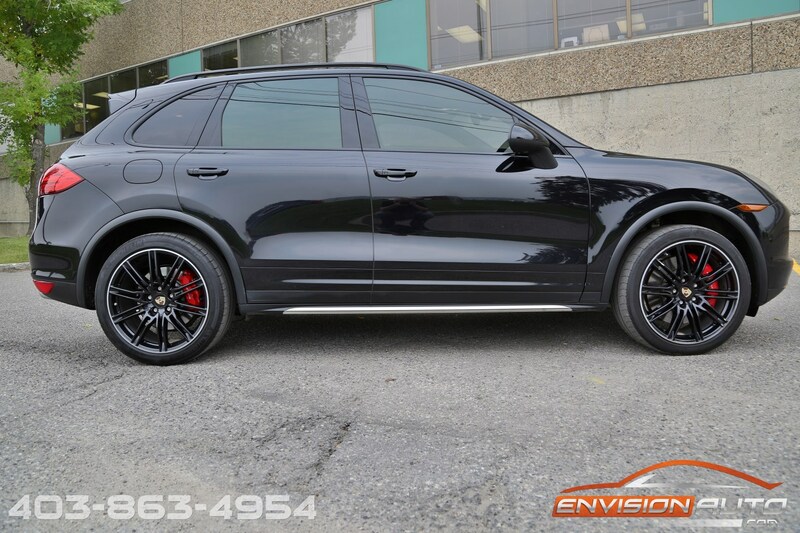 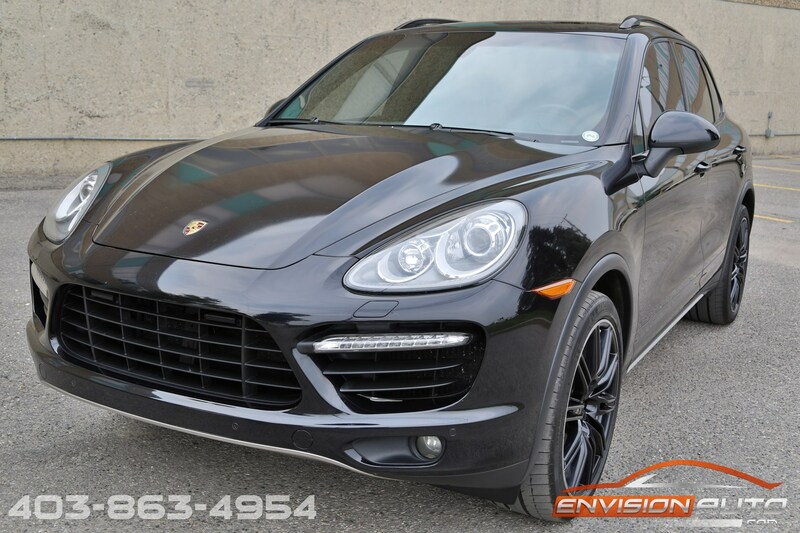 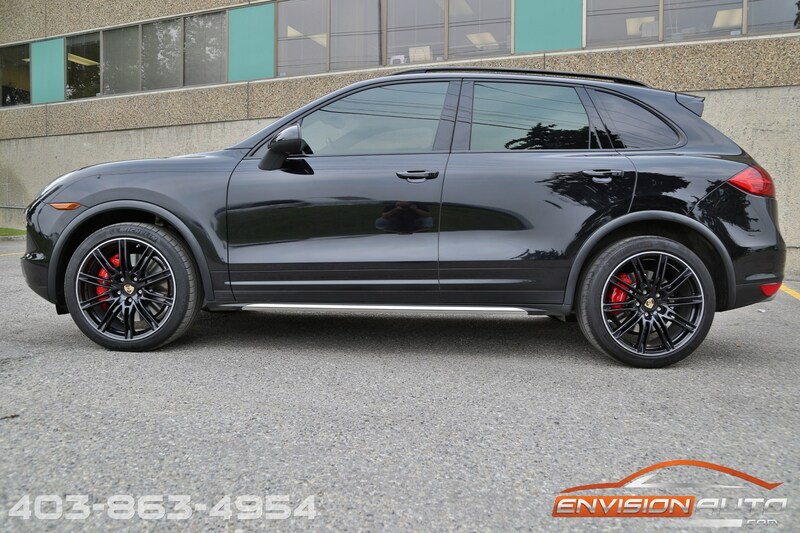 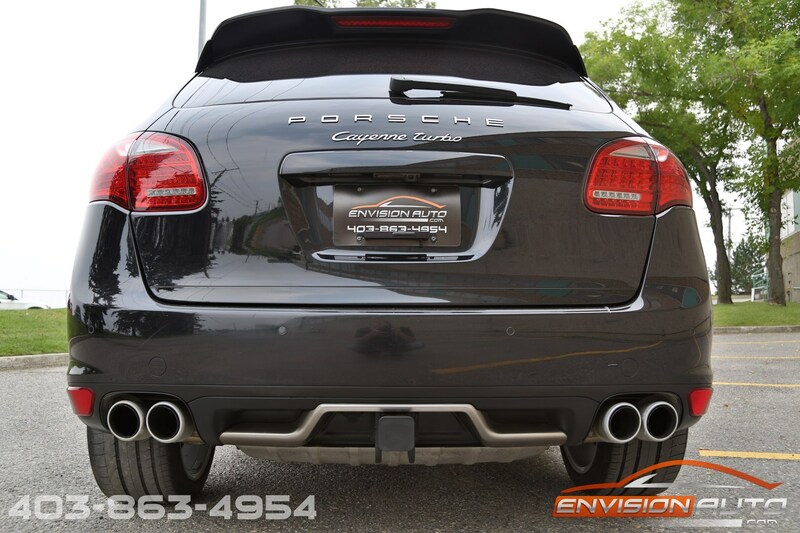 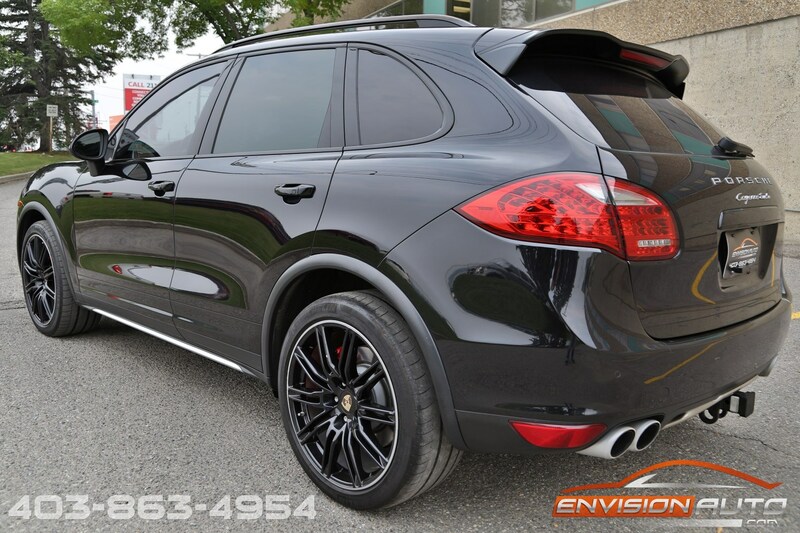 Sold and serviced since new at South Center Porsche in Calgary, this beautiful single local Calgary owned Cayenne Turbo comes with a complete documented service history from the dealership. 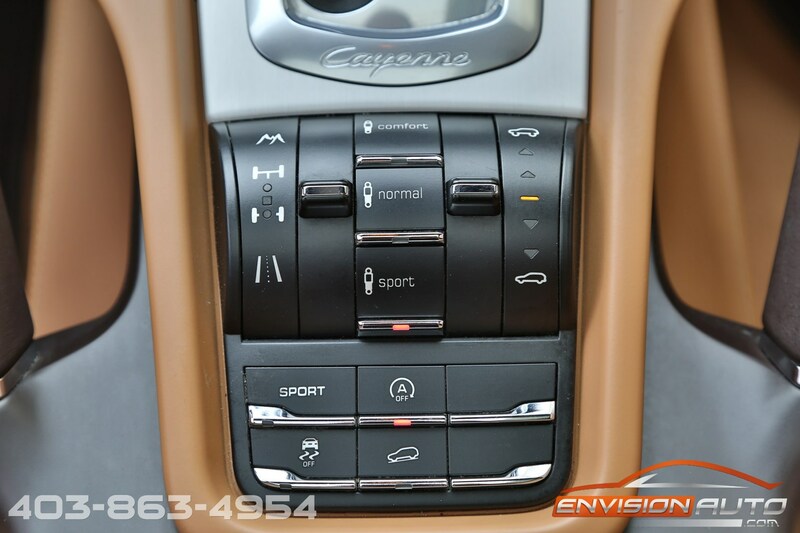 All owners manuals, both keyfobs, all accessories are still present. 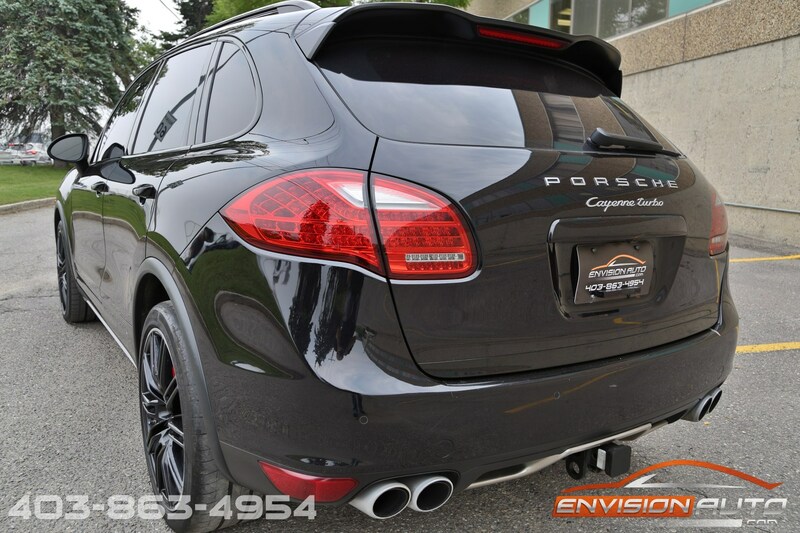 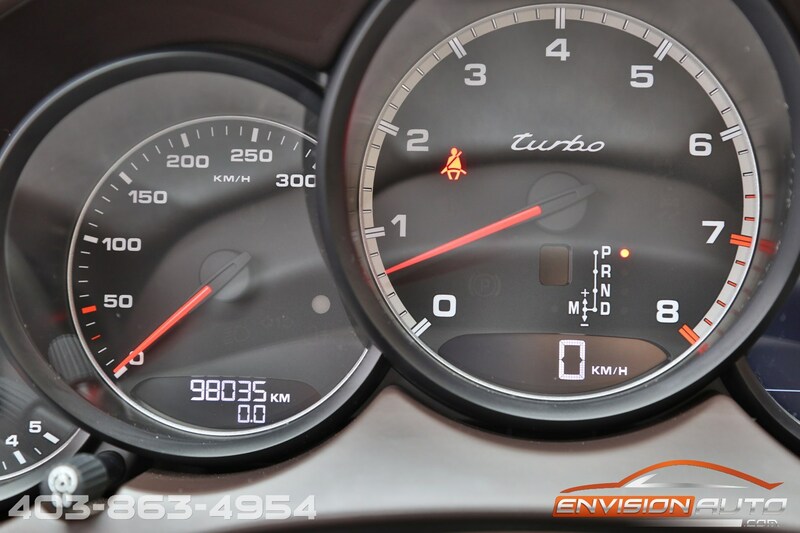 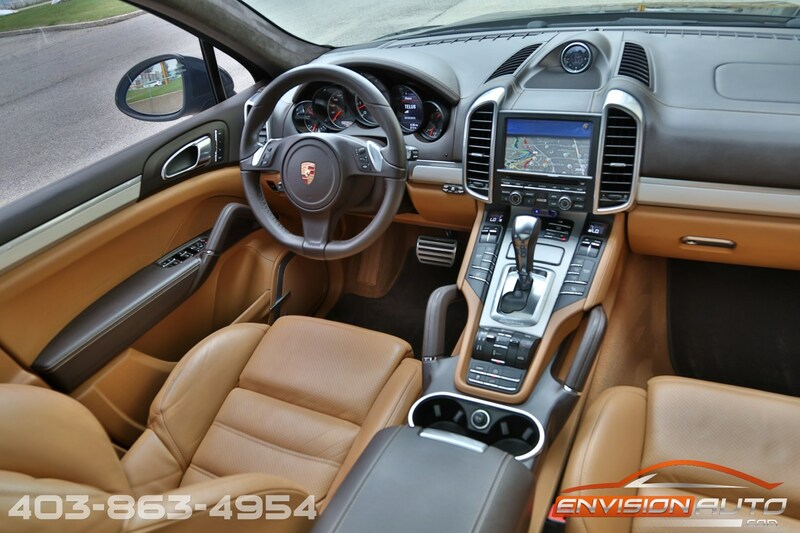 This is hands down as clean and well documented of a Cayenne as you will find. 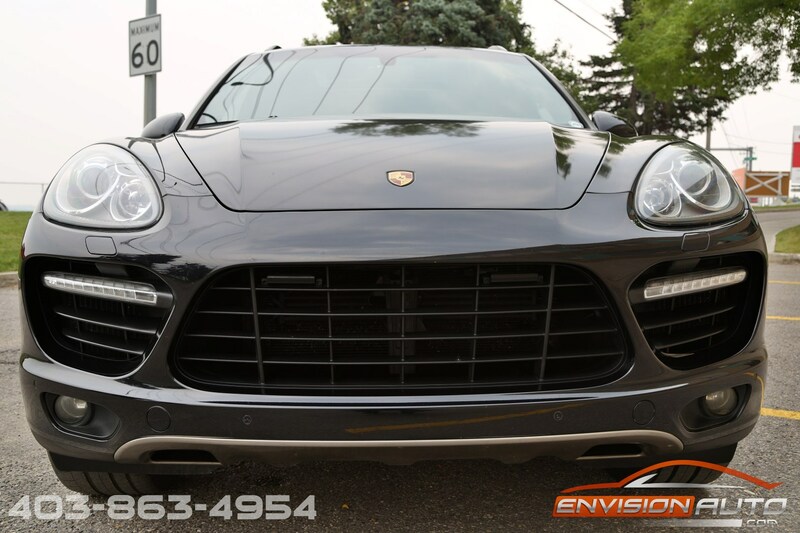 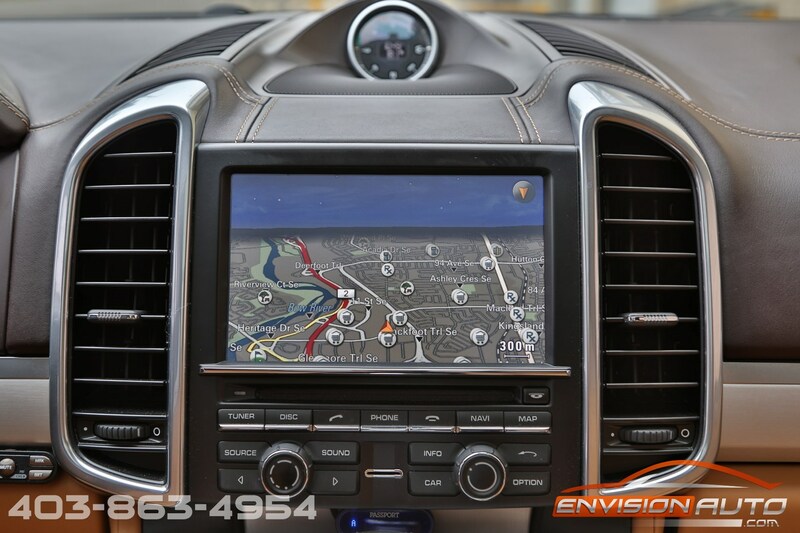 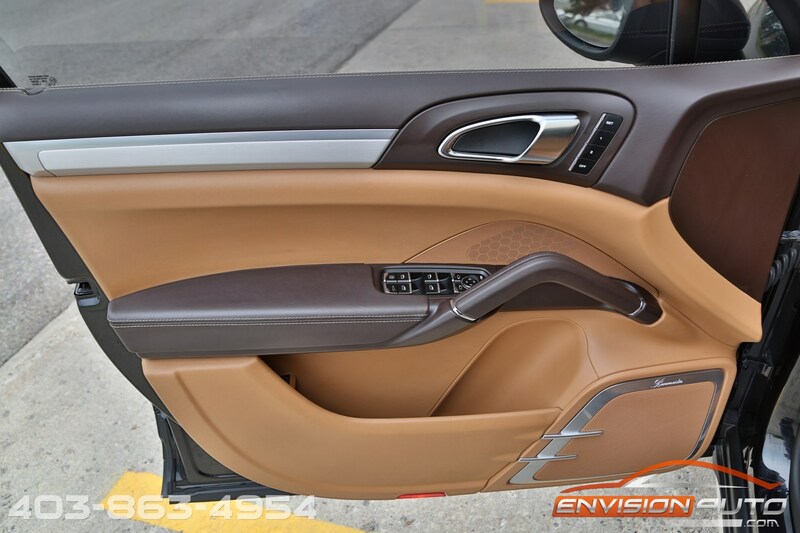 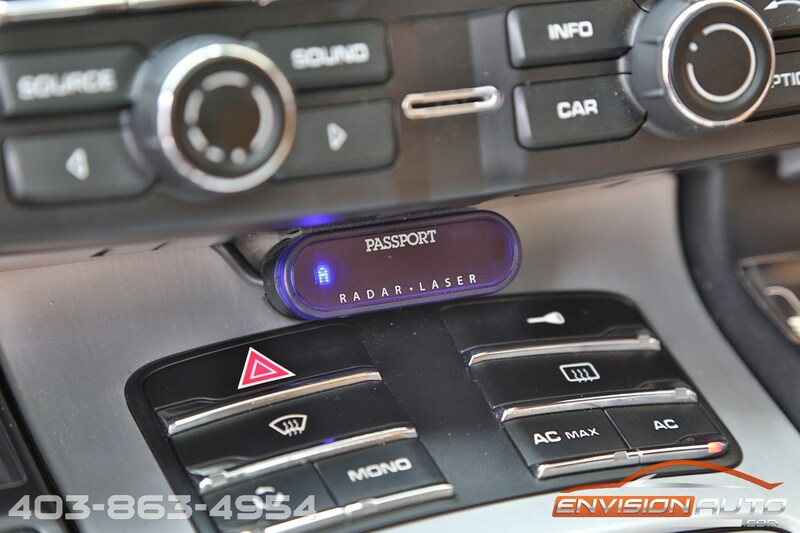 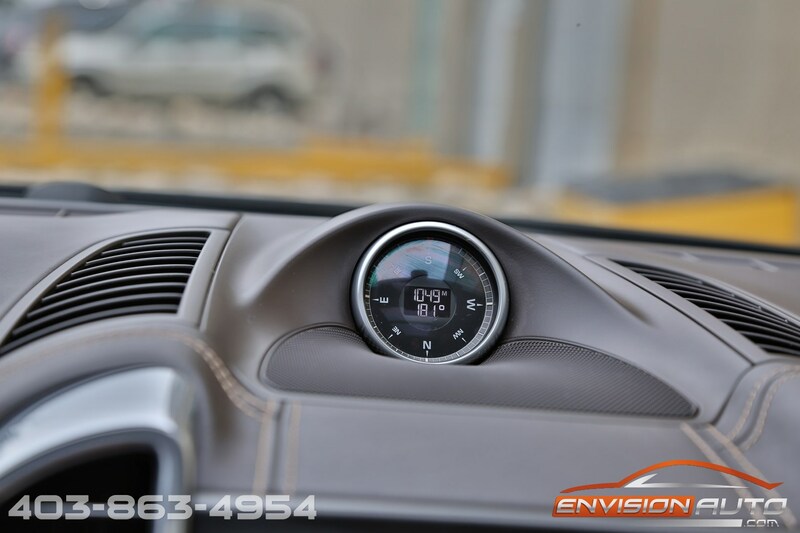 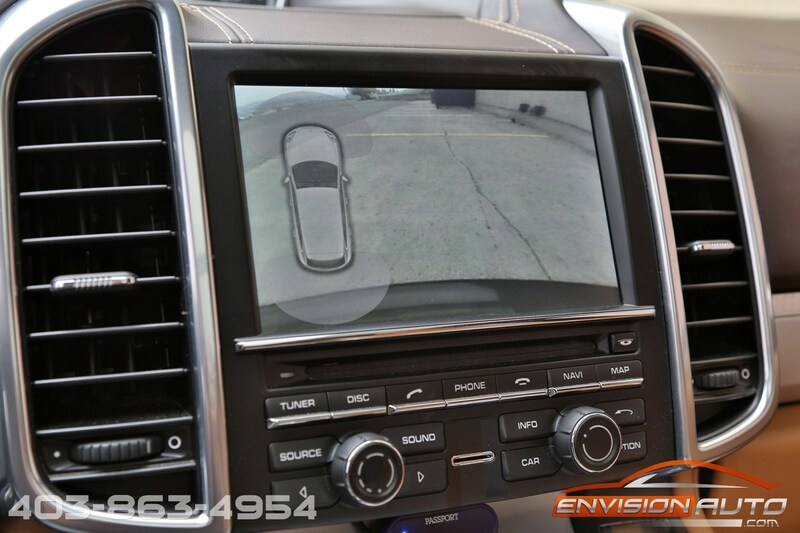 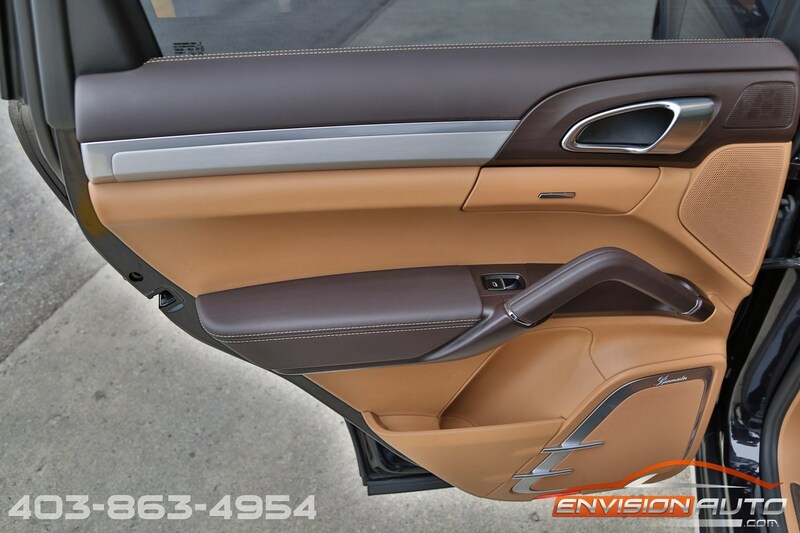 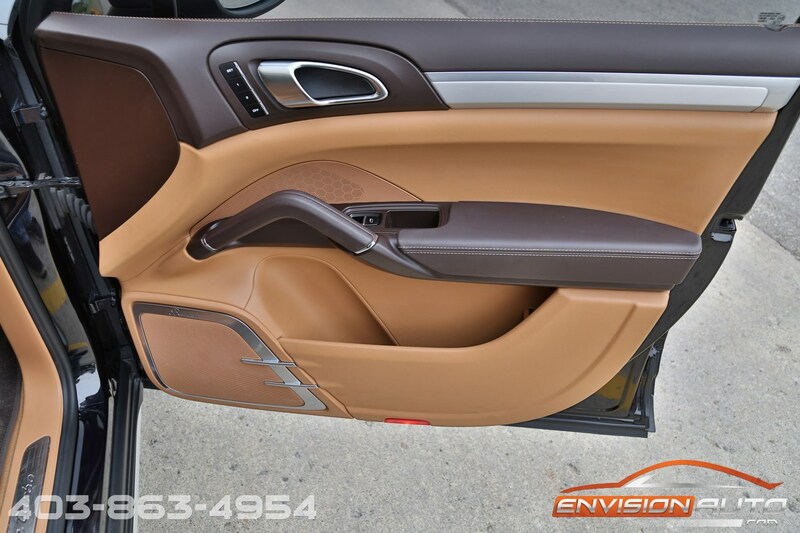 Extras included are a fully integrated Passport Laser\Radar detector with built in front and rear laser jammers, and a complete front 3M wrap protection package featuring the entire front hood, entire front fenders, entire front bumper, headlights, foglights, mirrors. 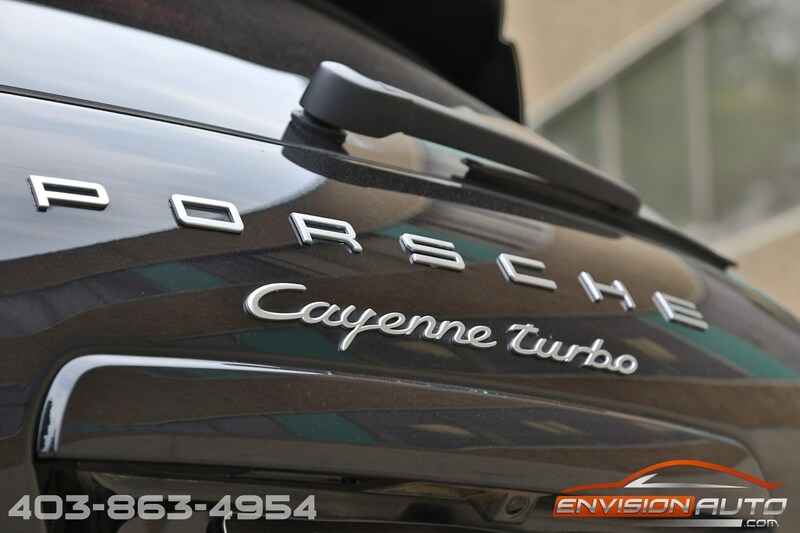 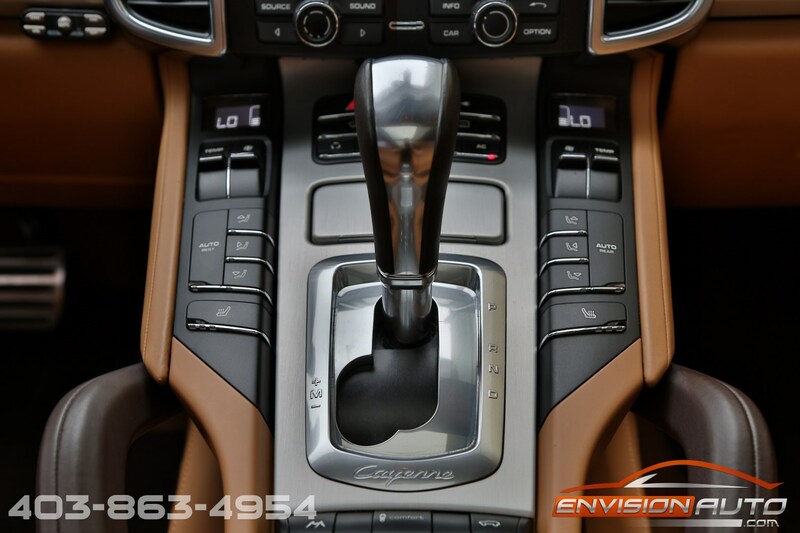 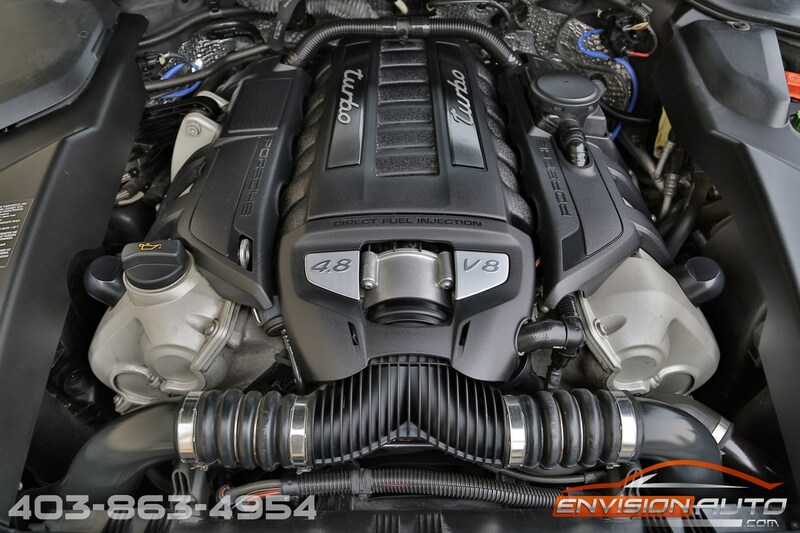 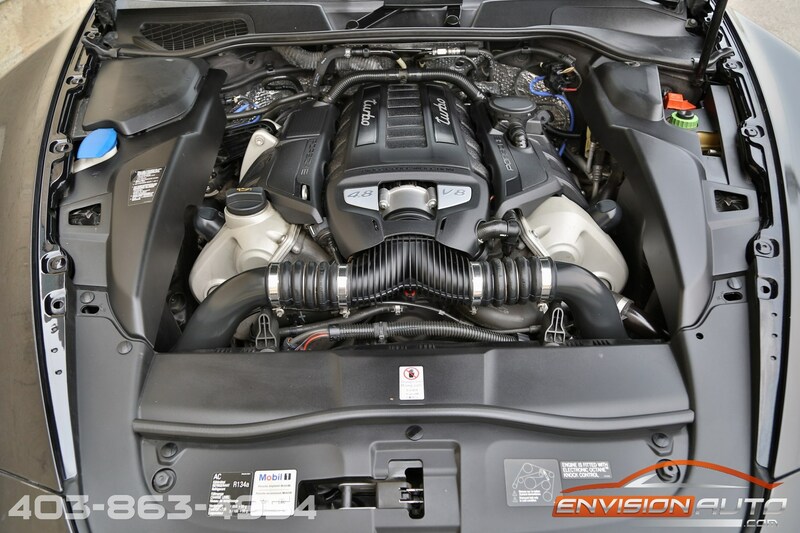 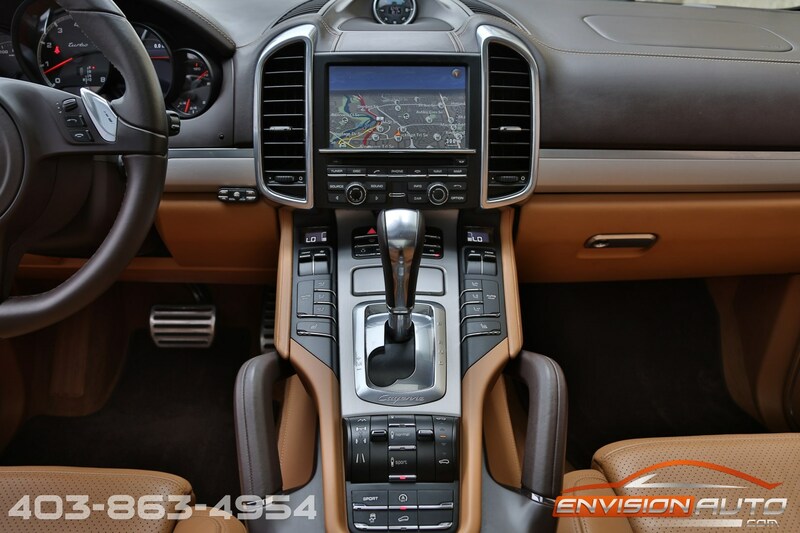 Powered by a massive 4.8L twin-turbo V8 producing 500HP and 516 ft lbs of torque, the Cayenne Turbo is one of the fastest and most capable production SUV’s on the road today. 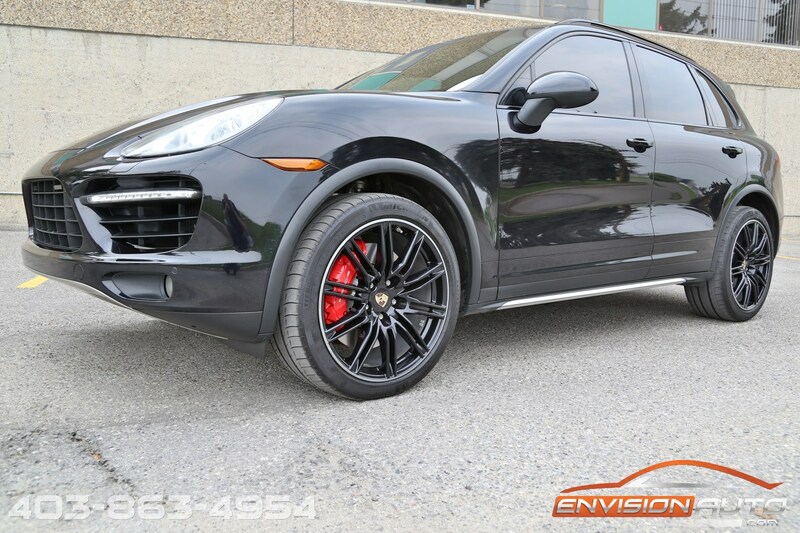 Equipped with standard air suspension and Porsche Active Suspension Management (PASM), the driver has the ability to raise the vehicle for off road or deep snow situations for maximum driving capability. 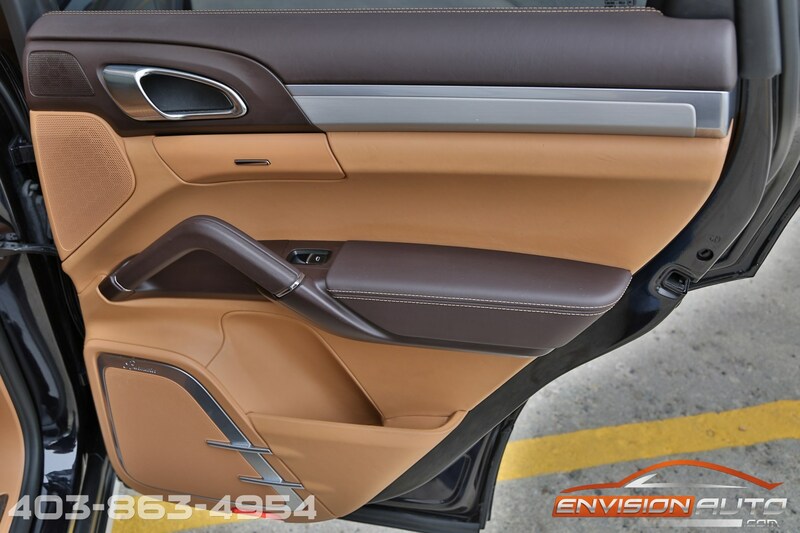 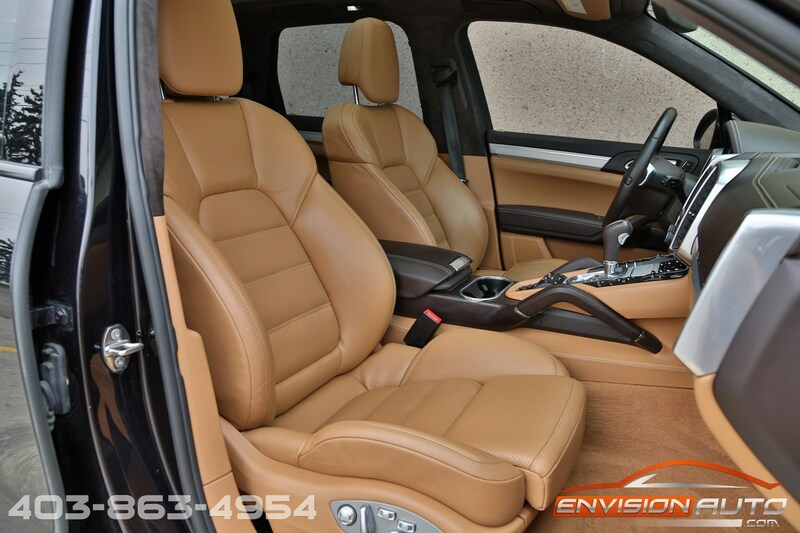 With PASM, the driver is able to adjust the driving firmness of the suspension for optimal comfort or sport agility in the stiffer sport modes. 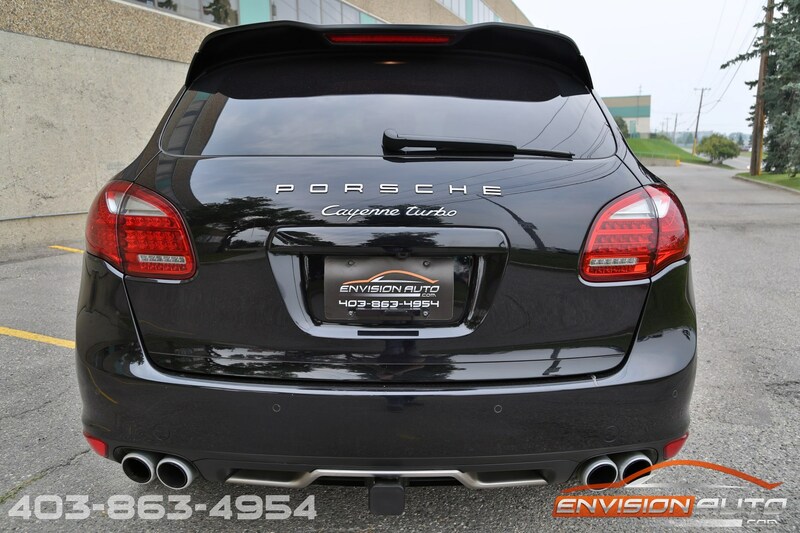 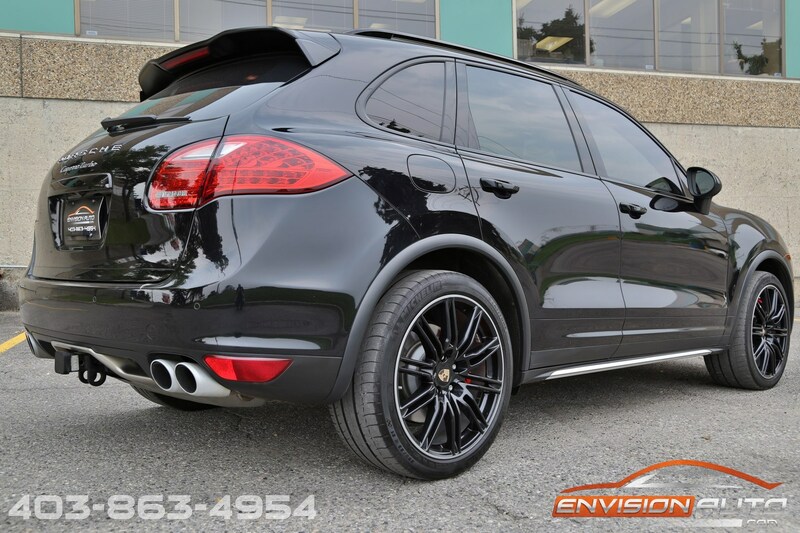 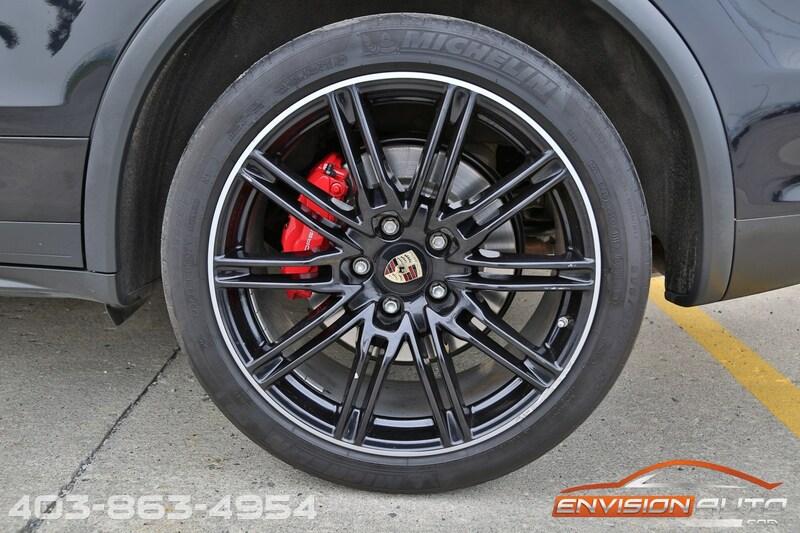 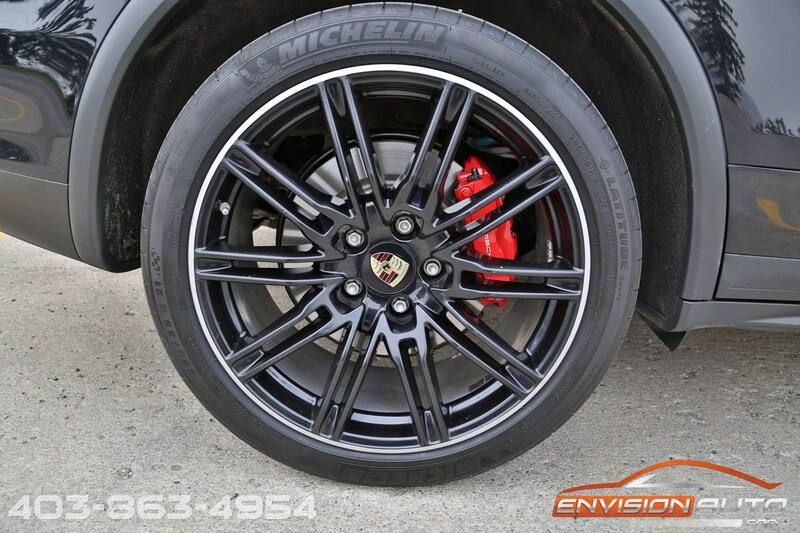 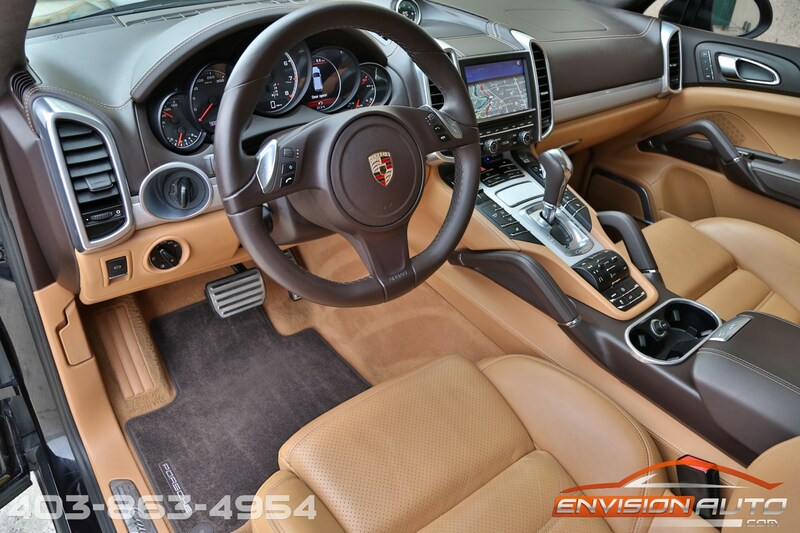 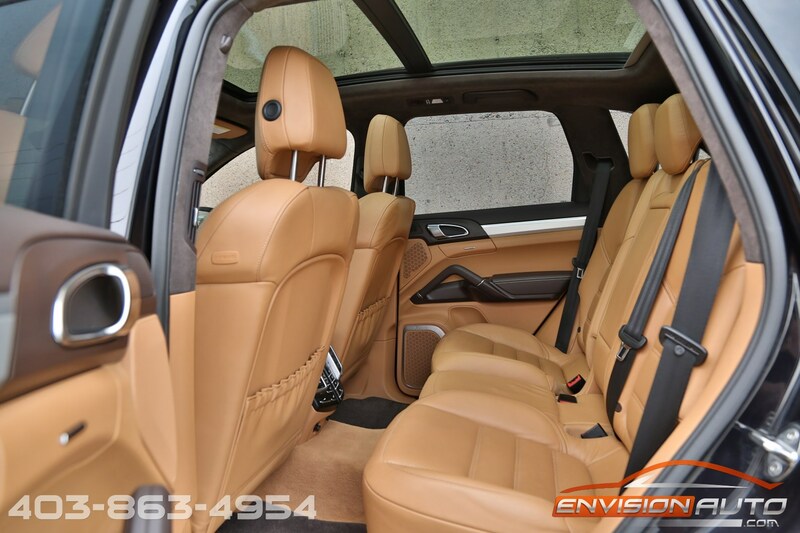 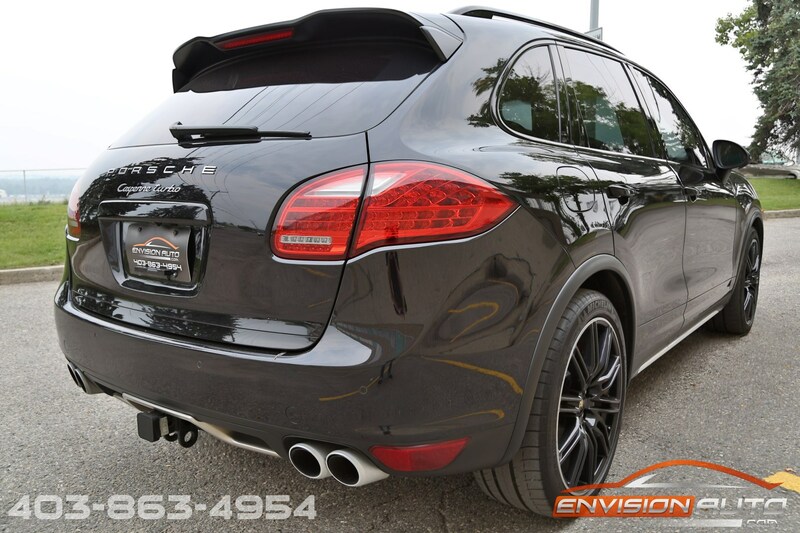 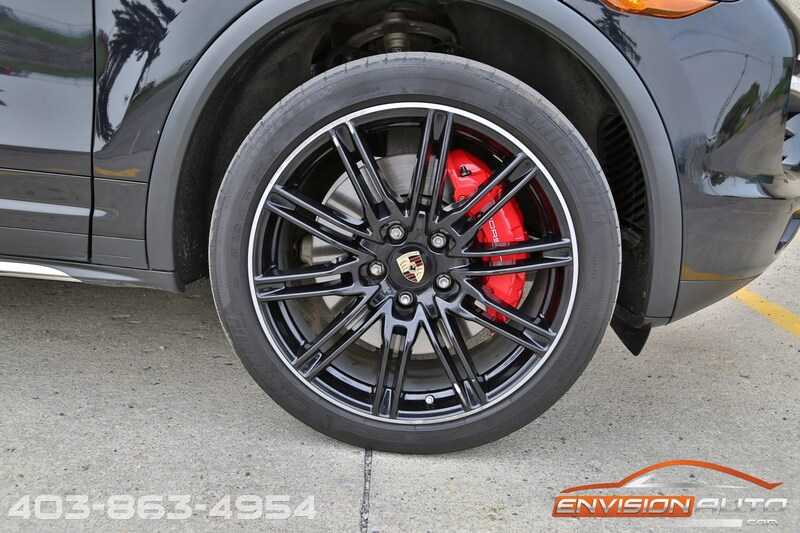 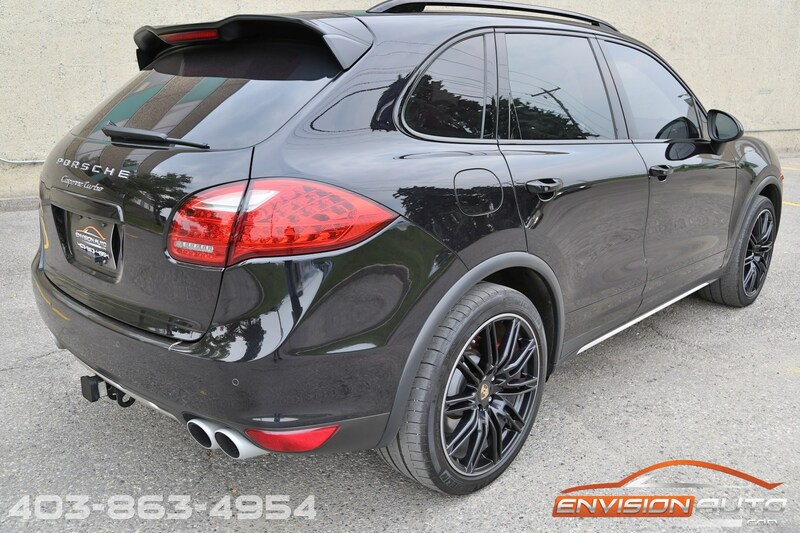 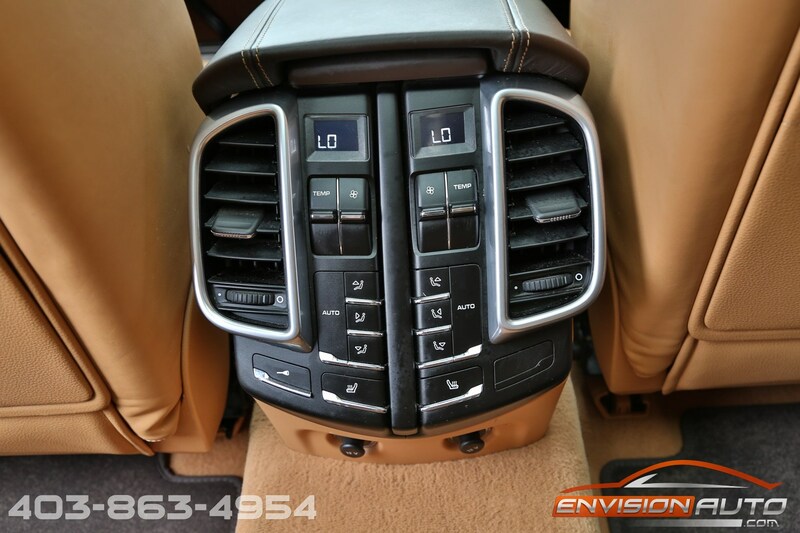 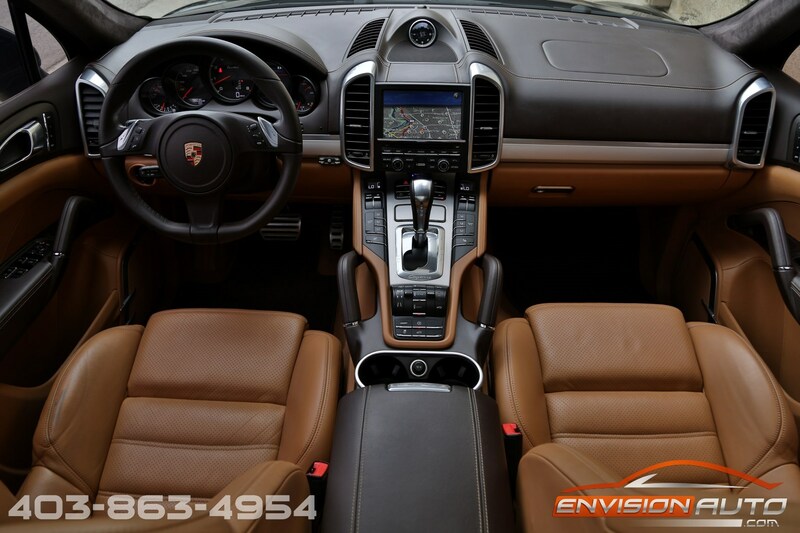 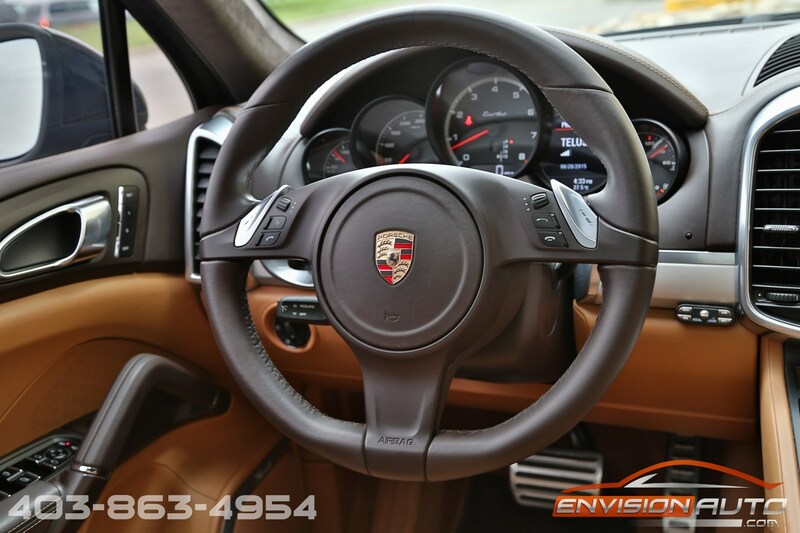 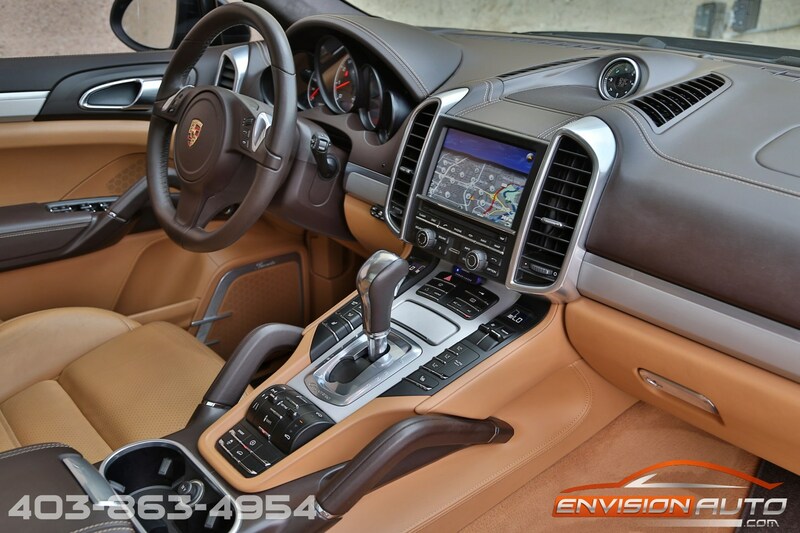 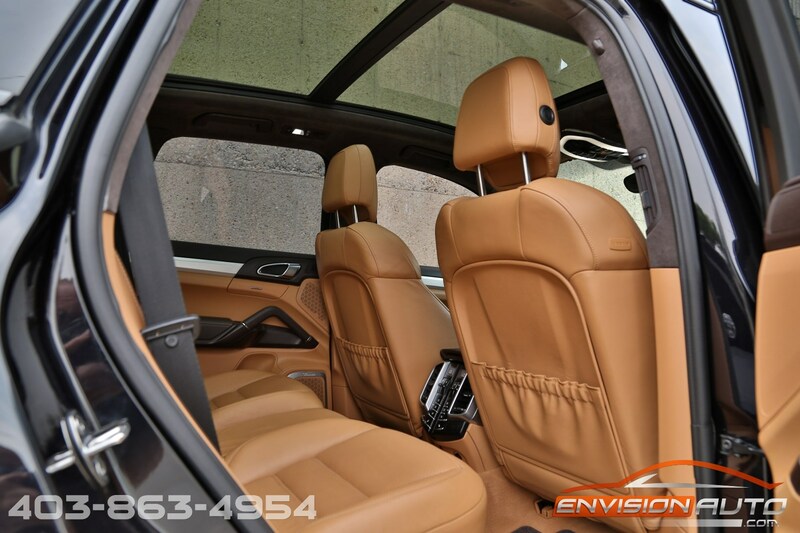 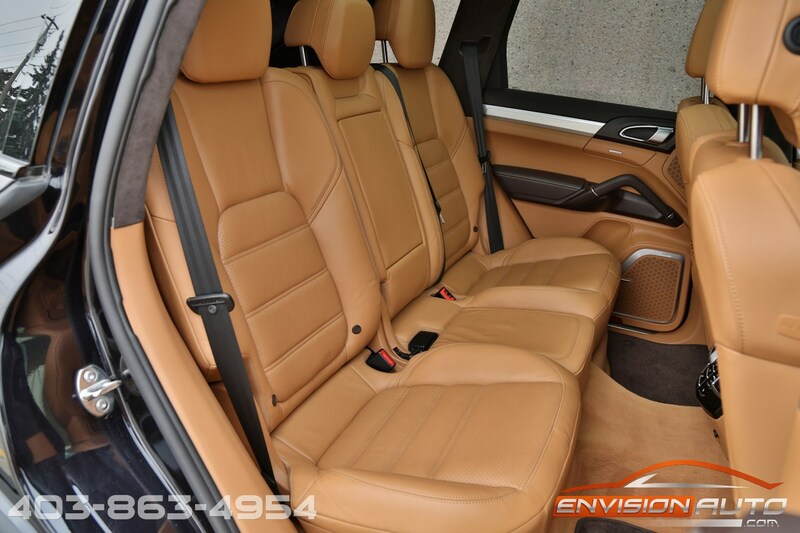 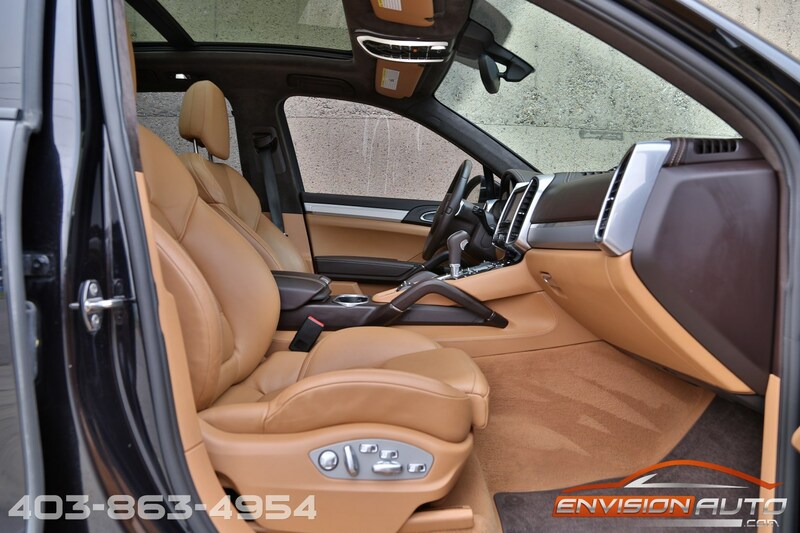 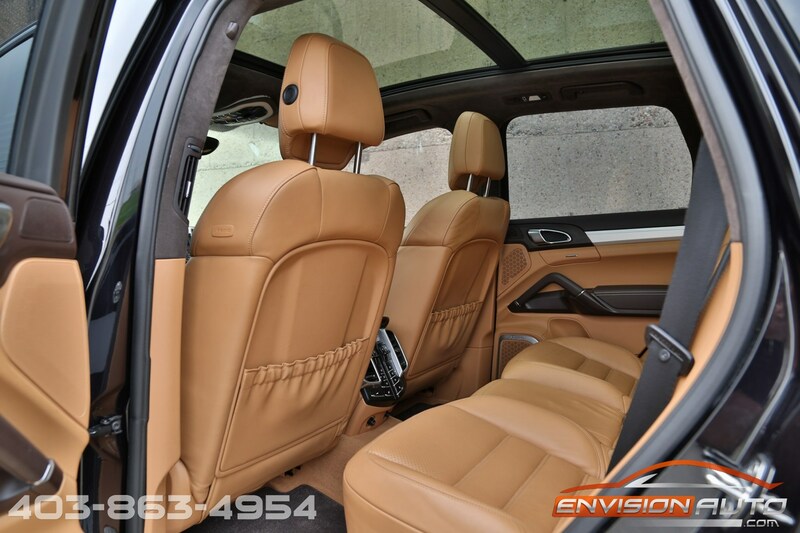 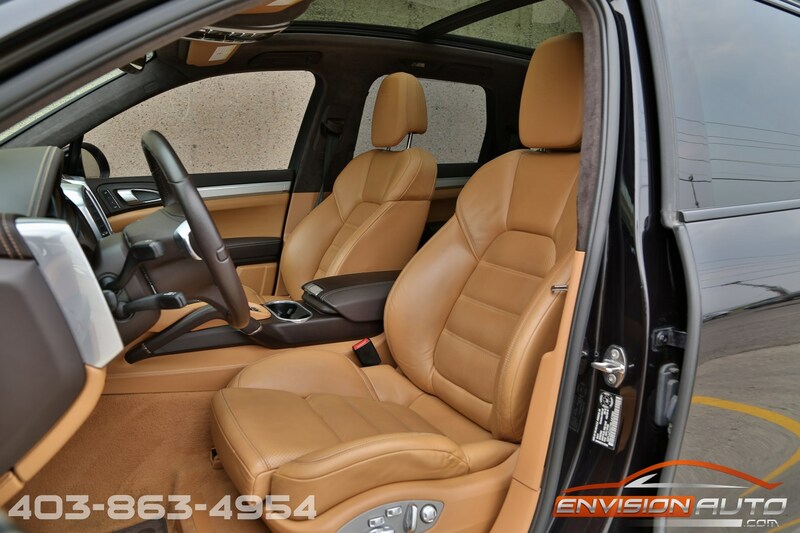 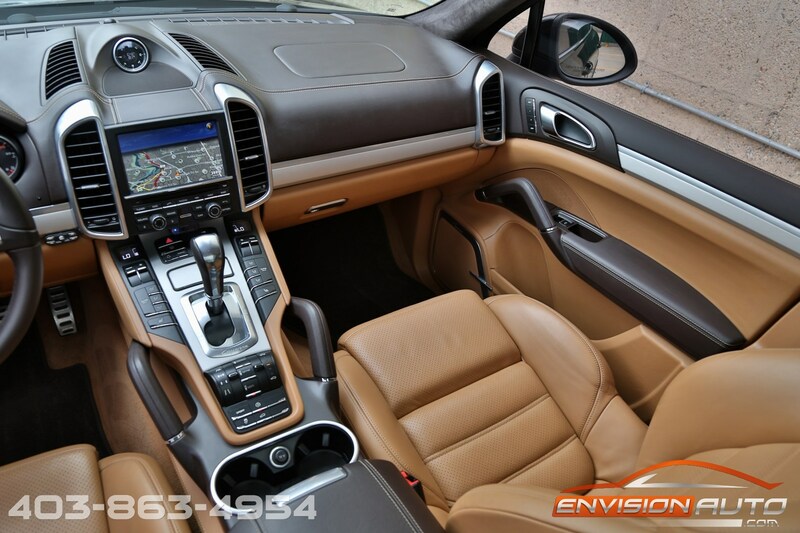 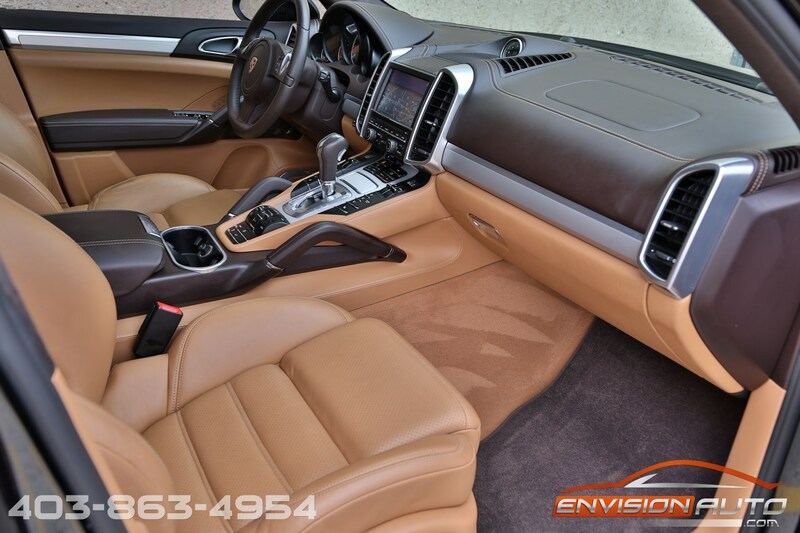 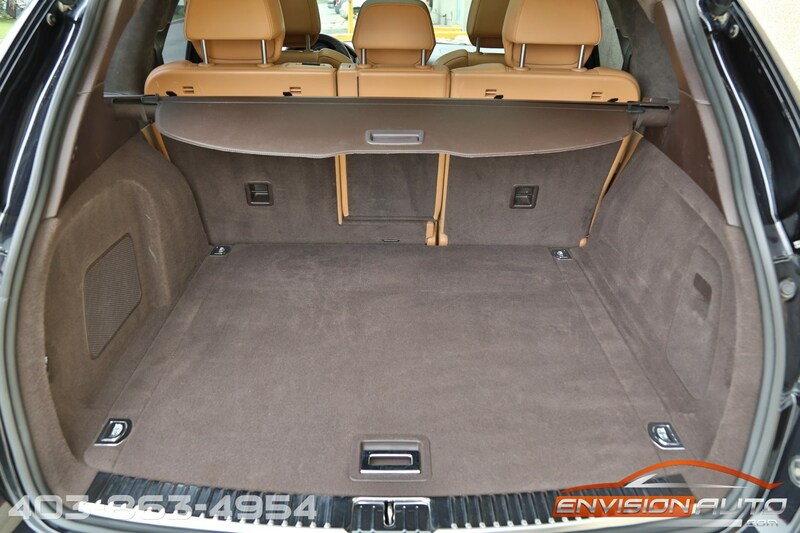 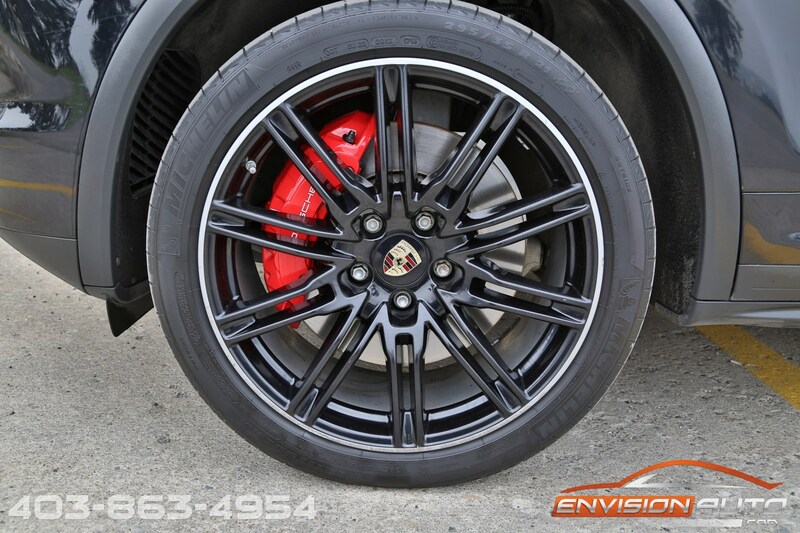 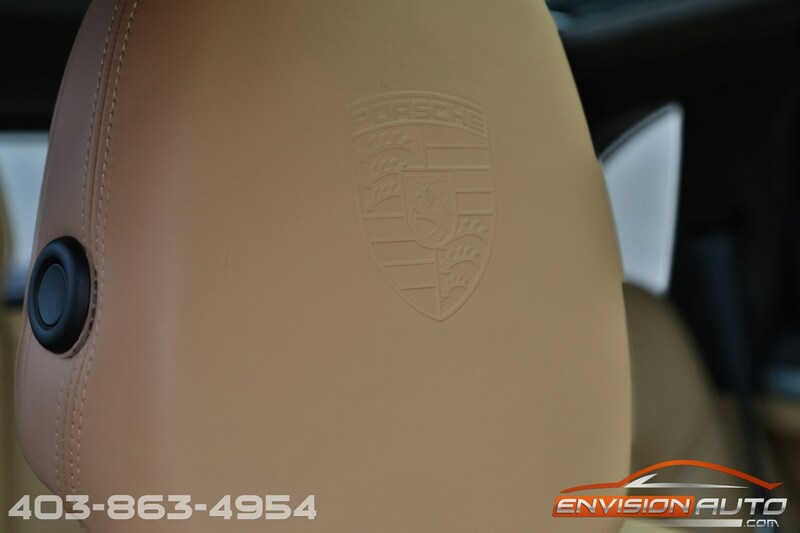 This Porsche Cayenne Turbo was custom ordered for the previous client with a jet black metallic exterior along with a full two-tone Natural Leather Interior in Espresso & Cognac for an ultra luxurious feel in the cabin with 18-way power seats which are heated.